Pro Photo Day in Benzonia! We started off another great year of partnering with Benzonia Public Library with a day of photography workshops. 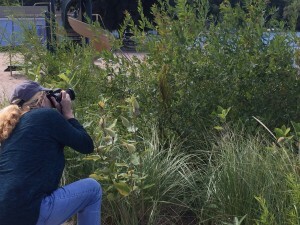 The University of Michigan School of Information photographer Jeffrey Smith was our professional mentor for the day. 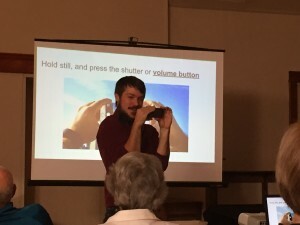 Jeff has visited Benzonia before as a photographer and videographer for Making in Michigan Libraries, but this was his first time giving a presentation. He did a marvelous job! In fact, Benzonia’s director Amanda McLaren tells us she just ran into someone from the weekend workshop who was still raving about it days later! The group taking practice shots. Placing your subject near a window is one of Jeff’s tips for better photos. Never use a flash is another! Jeff’s session was broken up into two parts. 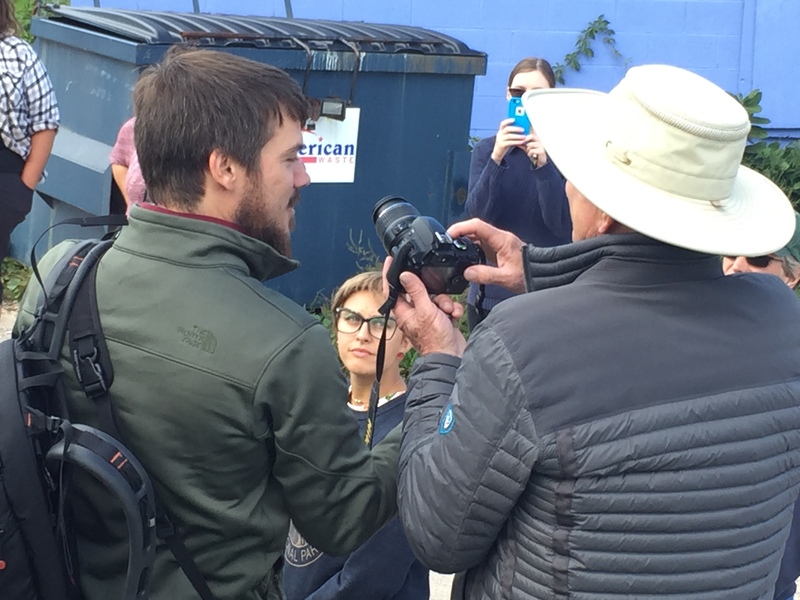 The first part was on Saturday morning from 10 to 12 where he explained tricks for taking high quality photos on a smart phone. Such tricks included holding your fingers down on the screen to lock focus, moving your finger up and down on the screen to adjust exposure, and using the volume buttons while in the camera app to take a picture. After he showed a few tricks for taking photos he then went on to demonstrate how to edit photos on your smartphone with an app called Snapseed and everyone got up and moved around to try it out! 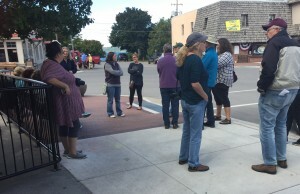 A break was given for lunch and then patrons met up in downtown Beulah for the photowalk! 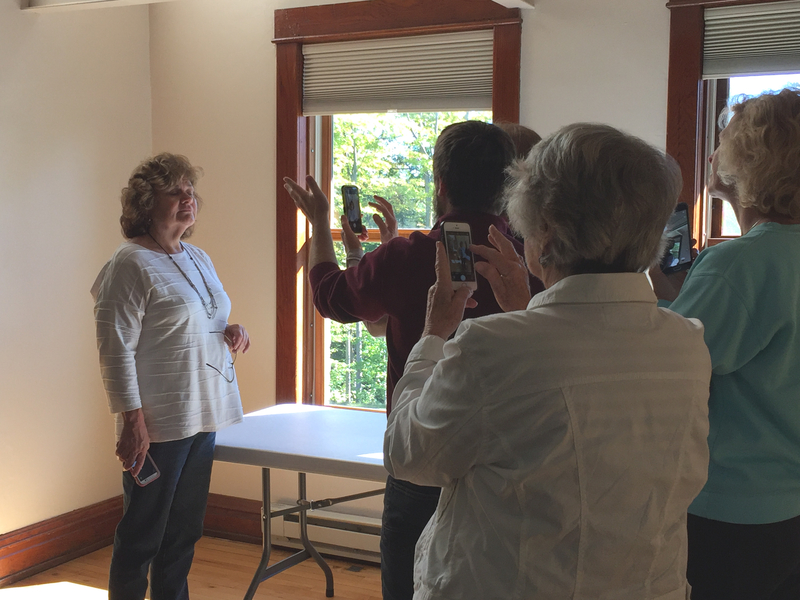 The photowalk gave individuals with smartphones and more standard digital cameras a chance to practice their skills and learn about perspective, light, framing, etc. from a professional photographer. Jeff took patrons on a walk around town in unexpected places. Our first stop was near a dumpster behind a building. Jeff explained that although this would not typically be viewed as a great photo opportunity the bright blue color and texture of the wall led to stellar shots. It just required a matter of framing things so that the dumpster didn’t show. 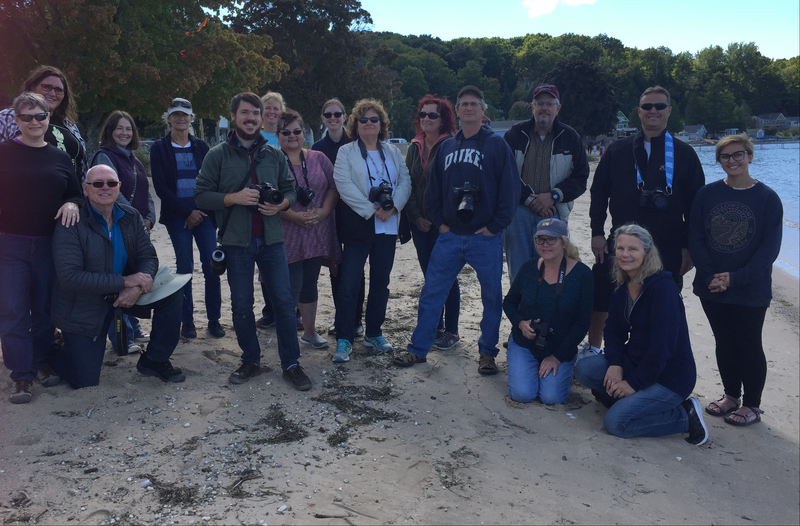 Our next locations were the top of a high hill that overlooked a few rooftops with a view of Crystal Lake in the background, shooting from behind weeds on a beach because layers help make a better image, and capturing action shots of seagulls. After the photowalk the group headed back to Benzonia Public Library for a tutorial on editing photos on a computer through Photoshop. The event ended with a showcase of the beautifully shot and edited photos taken on the walk! It was a wonderful way to spend a Saturday — trying to view the world in a new perspective. If you want to see more photos from the event feel free to check out our album on twitter here! This not-awesome photo was not shot by Jeff! Our friends at Niles District Library featured in their local newspaper! We were excited to see a flurry of local interest in the Niles District Library’s Skillshare space and Library of Things. Check out the summary below or enjoy the full article here! NILES — It is not always cost effective or timely to wait for a repair man to show up and mend that cracked drywall or wayward appliance. 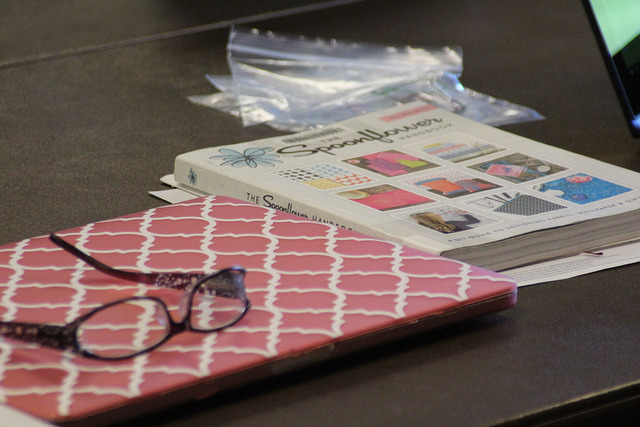 Thanks to the efforts of the Niles District Library, those looking to spare their wallet and learn to be handier around their home can gain the tools during a new workshop series called SkillShare. For the past month, volunteers have been lending their skills to locals, teaching them how to do everything from household repair and maintenance to skills in the kitchen. The workshops are free and open to the public and people are welcome to make suggestions for workshops via the library’s Facebook page. Those without a diverse toolbox need not shy away from this workshop series. Part of SkillShare is also offering participants a whole tool closet, called the Library of Things. Here, people can check out and return the tools needed to complete a project. 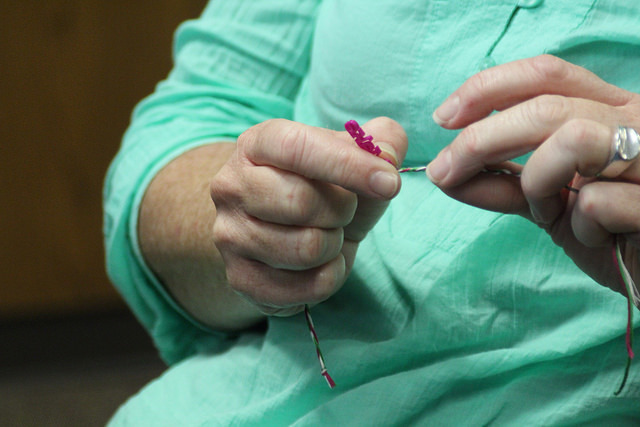 Laura Hollister, the adult services team leader, who was among those with a vision for SkillShare, saw it as a way to help her community garner new skills while saving on resources they might not have. 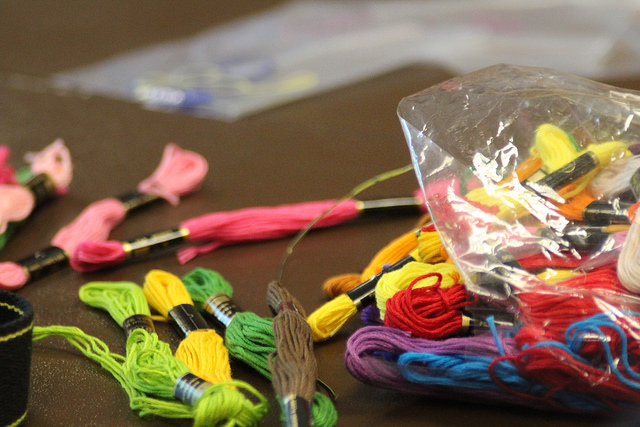 Those who visit the space can also experiment with their own Do It Yourself project during Open Shop, which takes place 5 to 7 p.m. Tuesdays and 10 a.m. to 1 p.m. Saturdays. The idea garnered not only a response from the community, but also the University of Michigan. The partnership helped to transform a portion of the library’s basement into a thriving workshop space. Kristin Fontichiaro, a clinical assistant professor at the University of Michigan School of Information, first took an interest in the project about 11 months ago. 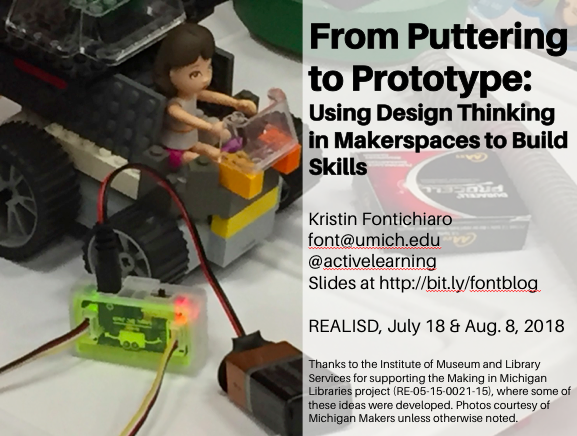 Fontichiaro had visited the library to host a workshop of her own, when she struck up a conversation with Hollister about the vision for SkillShare. “We were really captivated by the scope and the scale of what Laura was trying to share with SkillShare,” Fontichiaro said. 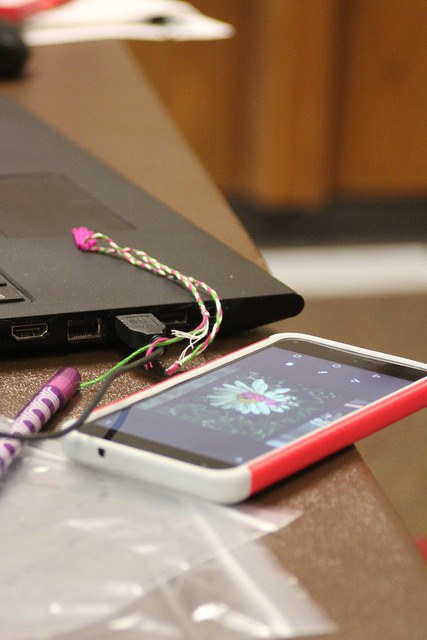 Through the partnership, Fontichiaro said the university donated about $1,000 in funding and some of the tools residents can find in the Library of Things. To help, Fontichiaro said the university served as a “peer and thinking partner,” while those involved also studied how the Niles District Library got the project off the ground. Now, SkillShare in Niles will serve as an example for other communities, Fontichiaro said. 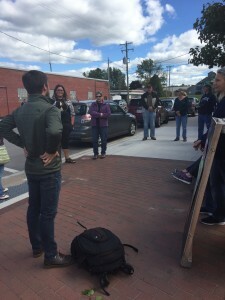 On Friday, university students shot a commercial at the Niles District Library and captured the project. The footage will debut in a couple of weeks and be used on the university’s social media platforms and YouTube. 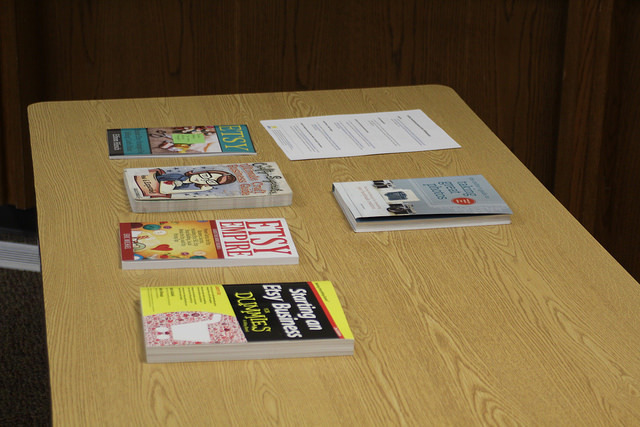 Hollister welcomed people to contact the library and teach a workshop or make a suggestion for something they would like to learn. People are also asked to donate their unused tools or decorations for the Library of Things. Without community support, Hollister said SkillShare would not exist. Volunteers’ desire to teach classes and the community’s donation of tools are aspects that will help to keep it going and making it a success. Additionally, SkillShare is part of a larger transformation to utilize the basement space of the library. In the future, Hollister said the library hopes to have adult education classes and even a café and vocational training space in the downstairs space. As for the overall goal of SkillShare, Fontichiaro said she could see it serving the community. Our friends at Benzonia Public Library featured in this May 2018 School Library Journal article! 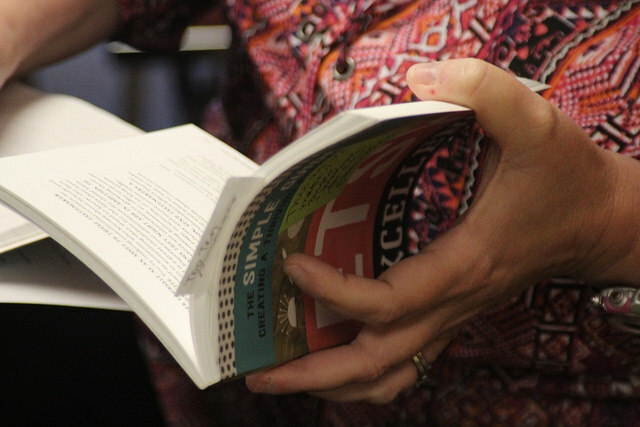 In getting organized for the new school year, I realized that we had never blogged about our friends Finn McLaren and his mom, Benzonia’s director Amanda McLaren, being featured in School Library Journal! Enjoy the excerpt below, and click here if you have an SLJ subscription and want to read the entire piece! “It lit something up in him,” says Amanda McLaren, Finn’s mom and the director of the Benzonia (MI) Public Library that hosted the workshop. Now 15 and a high school sophomore, Finn runs the Benzie Guild of Makers, a club he created consisting of mostly fourth to sixth graders. He is also thinking about his future. Finn McLaren is the mentor. His group meets at the library twice a month and … one of their favorite things to do is deconstruct mechanical toys. Finn’s mom finds joy in seeing his confidence and emerging personality. 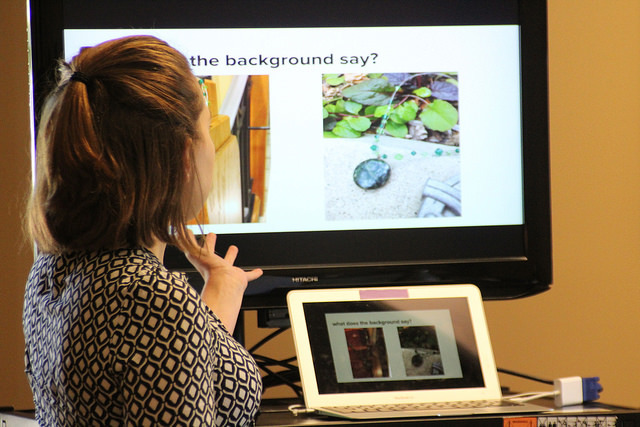 Last month and again yesterday, I was happy to be able to share some of our work with the Alabama and Buffalo cohorts of the REALISD project, which provides thoughtful STEM-focused professional development for school librarians in rural areas. Fix it Yourself Day was today in Niles. 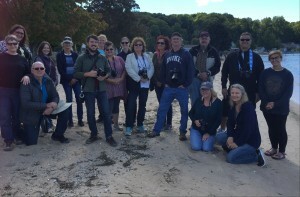 We had a small but enthusiastic group. Check out the photos here! Check out this video of our work with deep dive site Benzonia Public Library! Check out this video, made by Jeff Smith at the University of Michigan School of Information, to learn more about our partnership with Northern Michigan’s Benzonia Public Library and our pre-Halloween Costume Creation Challenge! We just acquired a 360-degree video camera after learning about it to prep for our Google Cardboard workshop earlier this month. 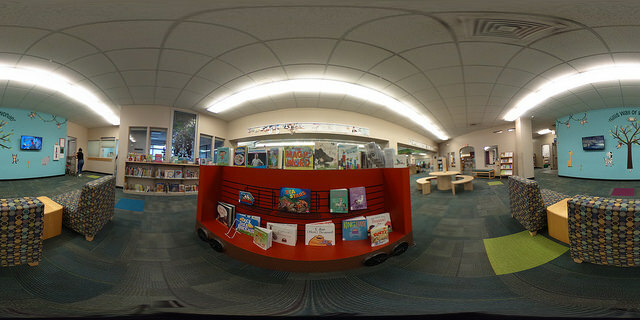 Check out Ben’s efforts — saved to Flickr as auto-play panoramic videos but inserted here as still images — and check out the wonderful atmosphere of the Niles District Library! Put this library system on your must-visit list for its beautiful layout, inviting furnishings, and engaged staff.